Have you thought about using the wills lawyers in Ridgefield, CT to help you protect your family in the event of your death? If the answer is yes, then you should contact Sweeney Legal, LLC to get a will started today. There are some things in life that are difficult to think about but important to plan for. Taking care of your family after your death is one of them. The unfortunate fact is that many family members become estranged after a parent has passed away due to heated disputes over inheritance. When there is no will, the will is old, or it is missing crucial information, the members of your family are left to fight over your estate. Planning for your final wishes can be a daunting task, as any wills lawyer Ridgefield, CT can provide could likely tell you this. A number of people are proactive in planning for retirement, but planning for what happens beyond that tends to be more difficult. At Sweeney Legal, LLC, we know that creating a will can seem overwhelming and even scary. The confidence, compassion, and experience of a wills lawyer Ridgefield, CT families depend on could make the process much easier. At Sweeney Legal, LLC, we help our clients put their final wishes into a formal document for their loved ones. The Ridgefield wills lawyers know it’s easy to delay writing your will. Although it might seem easier to avoid creating end-of-life plans, it’s important to have a will in place for your loved ones. The reality is that sometimes, the unexpected can occur. By preparing for the unexpected, you can ensure that your family’s needs are met even if you aren’t around to continue caring for them. Talking with a wills lawyer Ridgefield, CT has to offer may help you determine which documents will be most beneficial for your family. By creating a will, you are able to outline your final wishes. This will ensure that your assets are divided and inherited by the people of your choosing. The death of a family member or close friend can stir up a number of emotions, including anger and animosity. As a result, your beneficiaries could end up fighting over who gets what. With a will in place, your beneficiaries may be able to limit the time they spend in probate court. You will be able to appoint an executor of your estate to carry out the details outlined in your will. If you have minor children or are a caretaker for adult children with disabilities, you will be able to appoint a guardian to take care of your children. It’s also likely that minor children will stand to inherit some of your assets when you pass away. If this is true, you can also identify someone to be the trustee of your child’s trust account until they reach a certain age. If you would like to leave money to charity, a will gives you the ability to identify the charity of your choice. Organize Assets. It is imperative to create a comprehensive list of all items in your estate. We will help you identify and value the pieces to your estate. Assets include tangible objects such as vehicles, furniture, art, jewelry and real estate. There are also monetary assets such as 401k’s, IRA’s, life insurance, bank accounts, stocks and bonds. Establish Debt. It is important to quantify any debts and make a plan of how to pay them back so that your family does not inherit your debt. Our wills lawyers in Ridgefield, CT understand how to arrange for the repayment of a deceased’s debt. We can discuss options and help you plan for the best one. Identify Beneficiaries. Our attorneys will help you identify all beneficiaries to be listed in the will. This topic is where many family relationships suffer. When there is no will or the will does not include beneficiaries, the result is often disagreement and even estrangement among the surviving family members. Ascertain an Executor. It is important to choose an executor who does not stand to inherit anything from the estate. He or she should be someone you trust and know who will handle the position as you would. It is a good idea to discuss the will with this person before they are left to handle things after you have passed. Modify the Will if Things Change. Things change in life; babies are born, material items are bought and sold, and debt may be accrued or resolved. In the event that something changes in your life and you would like to modify the will for any number of reasons, our experienced attorneys will handle the changes and ensure the changes are valid according to the law. When you consult an estate planning and wills lawyer in Ridgefield, CT, you may be surprised to learn of the importance for everyone to plan their estate, regardless of how many assets they own. Everyone deserves to leave a legacy and to be remembered. Items that are gifted to heirs can be a way of acknowledging their importance in your life. A will and other estate planning tools can make this possible. Call Sweeney Legal, LLC to speak with an estate planning lawyer who can provide you with more information. Most people have certain belongings that have significant sentimental value to them. It may be jewelry passed down through the generations that does not have monetary value so much as family historical value. It may be important to the current owner that a certain ring or necklace is passed on to the next generation, and the family’s legacy continued in this way. When someone passes away, it is often a time of great confusion and grief for those left behind. Depending on your circumstances, your surviving loved ones may have to vacate your dwelling, especially if you live alone. If you have items of sentimental value you wish to distribute to certain people, it can lessen the chance of them being lost if they are itemized in the will and to whom they should be given. You may not consider yourself wealthy, but if you have assets such as vehicles, property, a home, jewelry, a coin or stamp collection, etc., a will can ensure the people of your choice will receive them. Otherwise, without a will, your assets will enter into the probate legal process and a court will decide who should inherit your items. When speaking with an wills lawyer in Ridgefield, CT from Sweeney Legal, LLC, you can learn more about additional estate planning tools such as trusts. Trusts can provide tax saving advantages for your heirs. When a loved one passes away without leaving clear, written instructions as to their final wishes, this can add to the confusion and grief of those left behind. Though you may have verbally told your family what you wanted, people’s recollections can vary. This in turn can cause intense and emotionally devastating disagreements between loved ones. Every estate planning lawyer from Sweeney Legal, LLC, is aware of instances like this which can lead to lifelong conflicts amongst surviving family members. 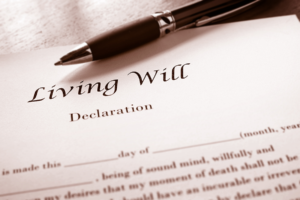 Knowing definitively how the deceased wanted to distribute their assets via a written will or a trust with the help of a skilled Ridgefield, CT wills lawyer can make all the difference. Additionally, a will creates the opportunity to specify if you want your remains cremated or buried, or both and where you want this to occur. It is not easy to consider things after your passing. You owe it to your family to prepare your estate to the best of your ability before that happens. In contacting a Connecticut wills lawyer, our team of experienced attorneys will guide you through the process and help you to prepare yourself and your family for the future. Unfortunately, many family members do not see eye to eye after the death of a loved one and disagree with the distribution of the estate. Arguments often ensue and relationships are compromised. In facing a difficult reality, you are caring for your loved ones. If it’s time to start making end-of-life plans for your loved ones, allow a Ridgefield, CT wills lawyer to make this process as easy as possible. At Sweeney Legal, LLC, we make sure that our clients can outline their final wishes so that they have peace of mind moving forward. Call us today to speak with a wills lawyer in Ridgefield, CT or a member of our legal team. We are happy to answer any questions you may have regarding wills, estates, trusts, and more. To schedule a consultation with a wills lawyer Ridgefield, CT families trust, contact Sweeney Legal, LLC today.